Other presenters: Tom Monte • Virginia Harper • Christian Elwell • Edward Esko • Alex Jack • Cathy Albanese •Masumi Goldman • Miwaka Ohara • Greg DiLisio • Judy MacKenney • Larry MacKenney • Sheri DeMaris • and more….! 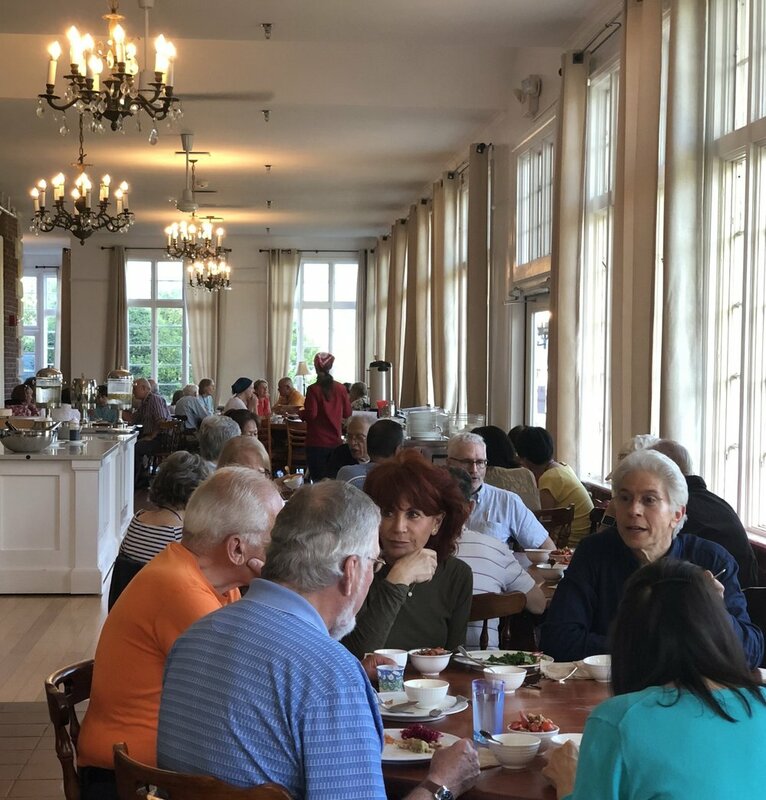 The Summer Conference 2019 will be held at Eastover, a holistic resort in Lenox, Massachusetts, the heart of the Berkshires. Eastover offers a wide selection of accommodations to suit any budget, including deluxe king, queen, double and single sized bedrooms, wide-screen TV and private baths. Large sleeping quarters for families and groups are also available, as well as camping. Eastover also a sunny porch, terrace, hiking trails, olympic pool, sauna, hot tub and Japanese garden. Please view the room options at www.eastover.com. To reserve your spot at the summer conference, please call (413) 212-7445. Eastover Resort offers a beautiful natural environment, accommodations to fit any budget, and serene atmosphere for mind, body and soul. Catherine L. Albanese, Martha C. Cottrell, M.D., Greg DiLisio, Sheri Demaris, Edward Esko, Naomi Ichikawa Esko, Alice Fava, Masumi Goldman, Virginia Harper, Mariya Ivanov, Warren Kramer, Alex Jack, Amber Maisano, Judy & Larry MacKenney, Rich Myers, Miwaka Ohara, Tom Monte, Christina Pirello, Robert Pirello, Evan Root, Jane & Lino Stanchich, Denny & Susan Waxman, Bettina Zumdick, & many more. In addition to their classes presenters will be available for private sessions, including Macrobiotic Counseling, Shiatsu Massage, Acupuncture, 9 Star Ki Readings, Menu Planning, Psychic Readings, etc.